Home - Men Hair Co.
At Men’s Hair Co, we keep you trimmed up with haircuts, shaves, and other grooming services just for guys. Appointments are appreciated, but walk-ins are always welcome. Stop in any of our seven locations in Fargo-Moorhead, Bismarck, and Grand Forks (Now Open!). Kick back and relax – we’ve got your hair care covered. Looking for a gift for Dad, hubby, or that friend who is overdue for a clean shave? 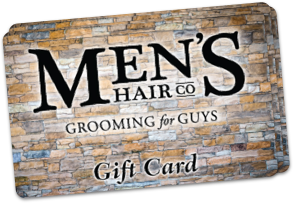 Men’s Hair Co. now offers gift cards! Stop by any location and pick up one (or 12) to gift to the favorite men in your life.